Balancing grading, coaching, and being sick has pushed bracketology to the back burner for the past week. As I find a healthy balance and recover, I will be more consistent in my NCAA field projection. Due to my absence, enjoy a Friday evening bracketology update! I will do my best to update frequently as we have already begun Championship Week! 147 men’s college basketball games were played Saturday which means a majority of the teams that currently reside on the bubble competed. Here’s a quick update on results and the outlook for those current bubble teams. Next to the team listed is where I predict whether or not they would be invited to the NCAA tournament if the selection was today. 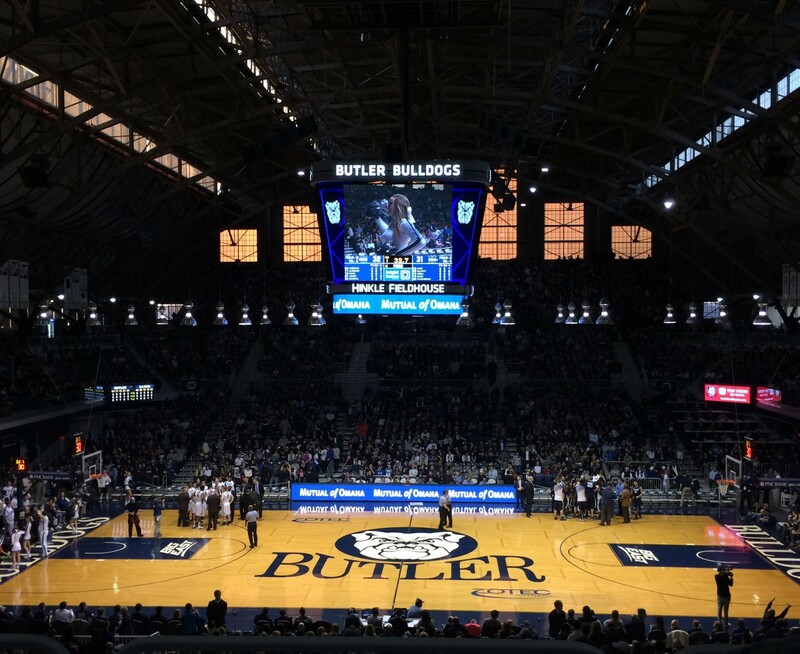 Butler (In) – Won at Georgetown 73-69. The Bulldogs showed some of their best ball movement of the season in their victory over the Hoyas. It is evident that when the bulldogs have exhausted their options for a play call, Kamar Baldwin ends up needing to make something happen. It’s unfortunate that the coaching staff hasn’t done more. It also seems unfair for the fan base to blame Baldwin for dribbling too much when the coaching staff likely told him to make a play. Baldwin was a great distributor under Holtmann during the minutes he played in games. Holtmann demonstrated prowess of play design, more so than LaVall Jordan has to this point in his tenure. The Bulldogs have hit at least ten 3-pointers in their two consecutive wins. If those continue to fall, they will stay in games late. Seton Hall (In)- Won against Creighton 63 – 58. The Pirates finished on an 11-2 run to secure victory over the visiting Blue Jays. This was a needed win for Seton Hall and bumps Creighton further and further from being a team that’s considered for the NCAA Tournament. The Pirate’s next two games are home against Georgetown and at Creighton. The next two games will be pivotal inching them closer to a 10-8 result in conference play. Clemson (In) – Won against Virginia Tech 59 – 51. It looks like Clemson is closer to being considered a team that is safely in the tournament, especially after their win over the Hokies. A win over Louisville this Saturday will likely cement them into the NCAA Tournament. A trap game at Miami awaits the Tigers. NC State (In) – Won at Pittsburgh 79-76. After three consecutive losses to Top-10 teams, one that includes a score that looks more like a football result against Virginia Tech, the Wolfpack took care of business at Pittsburgh. NC State has a couple more opportunities to solidify their resume with games against Syracuse and Duke this week. Nebraska (Out) – Lost at Purdue 81 – 62. After losing transfer Isaac Copeland for the season, Nebraska has dropped seven consecutive games, two of which that were at Rutgers and at Illinois. At this point, the Husker’s chance of a postseason rests likely in the NIT unless they notch big wins against Purdue, Michigan, and Michigan State. Temple (Out) – Lost at Tulsa 76 – 58. Temple owns a win over Houston and likely tournament bound Davidson. That’s about it for the Owls. They have a couple more opportunities down the stretch to secure some wins, but they cannot lose anymore games to opponents like Tulsa. Arizona State (In) – Lost to Washington State 91 – 70. As a whole, the Pac 12 has been a significant disappointment this season. The Sun Devils have tested themselves, but losses to Vanderbilt, Princeton, Utah, Stanford won’t help their resume. The association of the team names listed prior carries weight in our mind, but beyond that, the erratic results and inefficient play has been detrimental. The recent loss the Sun Devils suffered at home to Washington State appears as a hard strike to nailing the coffin on an at-large bid. As it stands, I think Arizona State would be considered for a play-in game in Dayton. Utah State (Out) – Lost to San Diego State 68 – 63. The Aggies did not help themselves by losing to an average San Diego State group. Utah State will need some help and likely will need to make the final in the conference tournament to be considered for an at-large bid. Minnesota (In) – Lost to Michigan State 79 – 55. The Gophers finished a three game gauntlet playing Purdue, Wisconsin, and Michigan State going 0-3. Fortunately, they play Nebraska and Indiana next. They will need to take care of those teams to maintain relevant in Tournament conversations. Florida (Out) – Lost at Tennessee 73 – 61. The Gators are fortunate to be in the SEC with numerous opportunities to notch marquee wins for season. With as efficient as their defense is, their offense relies heavily on 3’s. Naturally, if they are making their 3-point attempts, the Gators can hang around with most teams. They have numerous opportunities remaining this season to boost their resume. Arkansas (Out) – Lost to South Carolina 77 – 65. The Razorbacks currently sit at 5-5 in the SEC and alternate away and home games for the remainder of the regular season. A majority of the games left to play are toss-ups, meaning they will have to make sure the final score ends up in their favor. They could finish 11-7 in the conference, or they could easily end up 6-12.